Researchers at Ångström Laboratory at Uppsala University have now developed glass ceramics that are three times stronger than current ones. This paves the way for better dental care where patients benefit from stronger teeth and do not have to visit their dentist as often. Ceramics are inorganic and non-metallic materials that constitute the main group of materials. Examples of ceramics include cement, concrete, brick, tile, glass and glaze. Researchers at the unit for Applied Materials Science at Ångström Laboratory have now developed a type of glass ceramics three times stronger than those that exists today. It is translucent, while the previous material is white. Colour might not seem important in this context, but the combination of colour and durability has proven to be a particularly successful combination when it comes to materials that dentists use to repair our teeth. "Our teeth are hard and strong and have a nice colour, and they require strong material for repairs," explains Wei Xia, who heads the research team along with Håkan Engqvist and Le Fu. "The dilemma in dentistry today is that existing strong materials are white in colour (a white that does not look natural), and materials that are translucent is not as strong. Our ceramics are three times stronger and also translucent. 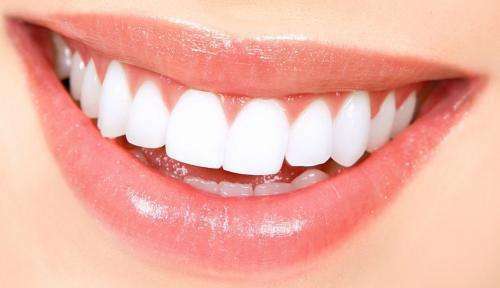 This means that you can customise the colour of the tooth to match the patient's other teeth, resulting in a natural appearance. The material is intended for use in dental repairs, for broken teeth and for bridges and crowns." The research team hopes that the new material will provide patients with better oral health and make dental care cheaper in the long run because patients will not need to visit their dentist as often. The discovery has already attracted attention, and the team now hopes their research will reach the market. The plan is to use the glass ceramics in areas that need strong and translucent material, such as various types of implants.